Good old fashioned meat pie. 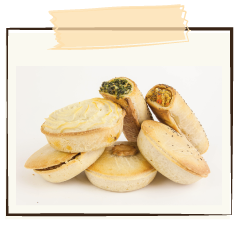 A crisp pastry case, filled with minced beef, spices and a dairy free, tomato-based gravy. Wheat free, gluten free, dairy free, nut free and yeast free.